A ship from beyond our solar system landed in a remote forest in Michigan’s Upper Peninsula at twilight on a warm spring evening in 1975. Before the hatch doors opened, a small company of individuals, including a vacationing congressional senator and a handful of law enforcement and military personnel, had assembled before the remarkably featureless craft. The release of the sealed portal was accompanied by an escape of a sweet smelling extraterrestrial atmosphere in the form of a violet cloud that engulfed those gathered, bringing about a fit of coughs, before dispersing and mixing with that of Earth. 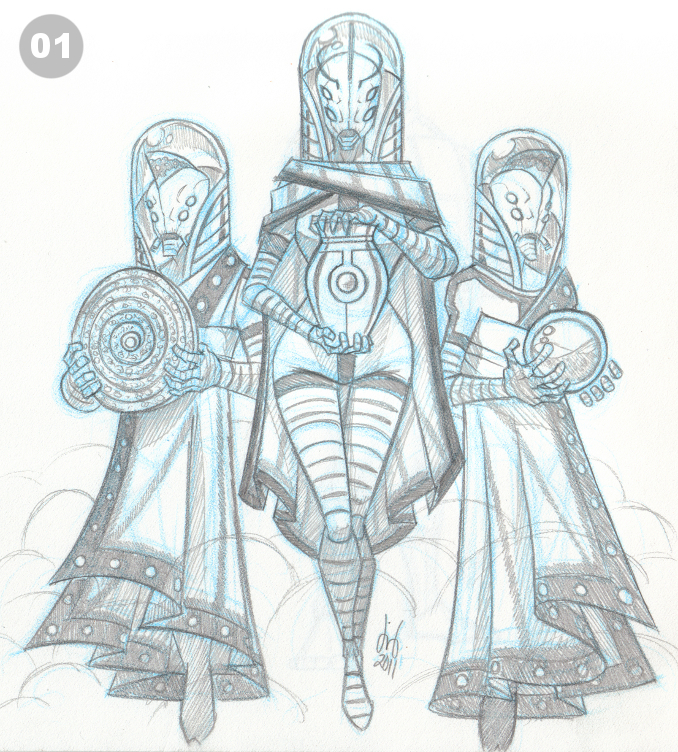 Led by the Lady G’Lipis, a trio of slender, helmeted beings floated from the opened door of their ship to hover before the small group of de facto ambassadors of Earth. Identifying them as Danaian first contact scouts representing the Pan-Universal Council, Lady G’Lipis welcomes Earth to the universe after their recent forays off their planet into the vast void. The Lady presents Senator Trent Day, who has been speaking on behalf of the United States and Earth, with three gifts: a disk of common universal knowledge, a sphere containing a luminescent medicinal liquid simply called the Elixir, and a golden beacon with a single glass circle. The beacon, she tells him, will let them know when the Danaians are returning with a group of ambassadors to fully bring Earth into the Pan-Universal fold, though that return would occur no sooner than the turn of Earth’s millennium due to interstellar travel time. Thanks! You characters so far are amazing! I detect some Jack Kirby & Bruce Timm influence here — I dig it! Would love to see them inked up! Great way to start the challenge, i love how you’re leaving openings for the next character in your universe. Great story and concept, i like the catfishy mouthparts of the Danaians on both sides. Doin’ great dude, keep it up!